A spectacular view of Shastina from the heart of Diller Canyon. It is amazing how easy it can be to lose sight of just how big Mount Shasta is despite the mountain’s colossal size. Once one accepts Mount Shasta’s presence the sense of scale can quickly slip away and facts like its status as the largest peak in the contiguous 48 states or its ranking as one of the highest can be taken for granted. If it is possible to become complacent with Mount Shasta’s majesty, it is even easier to overlook Shastina. An enormous secondary cone that pushed its way out of Mount Shasta’s northwestern flank, Shastina is a mammoth peak in its own right. 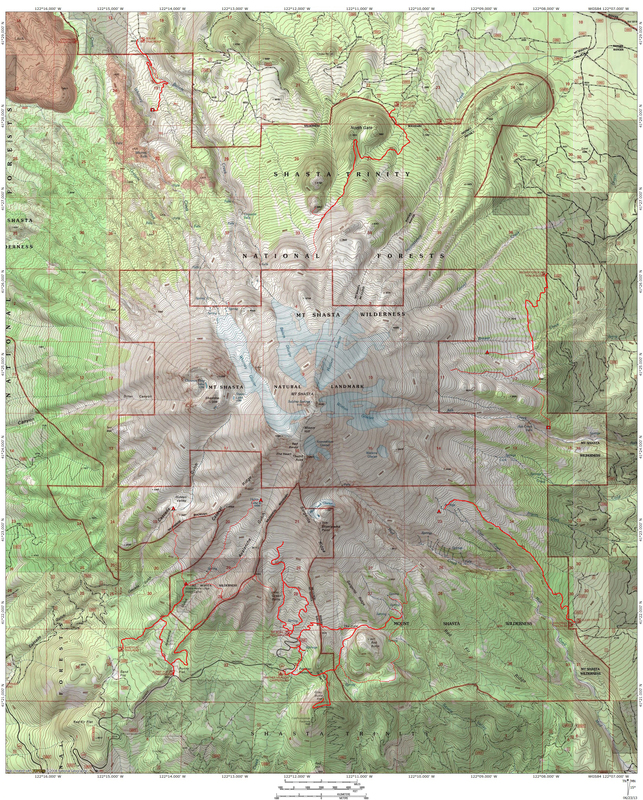 On its own, it is the third highest summit in the Cascades, only trailing behind Mounts Rainier and Shasta. Still, Shastina gets little recognition despite its tremendous proportion. Aside from its secondary position in relation to Mount Shasta, this is perhaps a result from the giant cone’s general lack of significant and recognizable features. The lone exception to its featurelessness is imposing Diller Canyon. 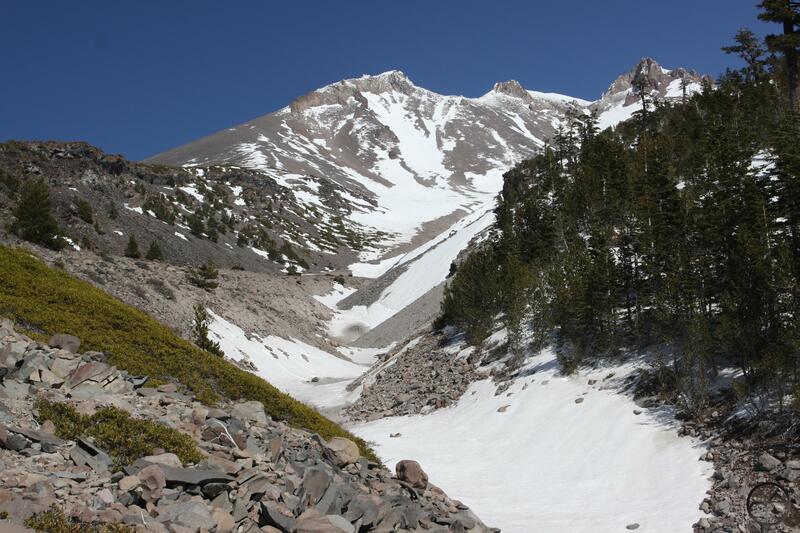 Diller Canyon is at once one of the most prominent features on Mount Shasta and one of the least appreciated. Among the largest and longest canyons on the mountain, Diller Canyon is a gaping gash on the side of otherwise unadorned Shastina. It is possibly the highest canyon as well. Beginning at about 12,000 feet, just below the summit of Shastina, the canyon drops away almost 8,000 feet in 4 miles. Most of the elevation loss occurs immediately below the summit as the slope of the mountain falls away precipitously. Diller Canyon is also the only major canyon on Mount Shasta that is visible from Interstate 5 as it passes along the western foot of the mountain. The canyon’s distinctive shape is easily discernible from the freeway. It seems like a massive wedge gouged out of the side of the conical peak. This is easily the most interesting aspect of Shastina. While it assuredly catches the eyes of drivers on the interstate, Diller Canyon remains an enigma to all but the most motivated explorers on Mount Shasta. Looking west towards the Marble Mountains from the inner gully. The canyon begins just below the volcanic cone’s summit, at the foot of three large crags. Nearly 0.5 miles across at the top, Diller Canyon narrows as it descends steeply down the west slope of Shastina. The canyon is actually composed of two sections. There is an outer canyon, which is the portion that is readily visible from afar, and there is an inner gully. The gully navigates a serpentine course through the heart canyon. Like most of the other canyons on Mount Shasta, its slopes are composed of loose ash and talus, making the gully’s walls very unstable. Water flows through the gully intermittently, though when its flow is strong is difficult to predict. If there is a large volume of snow lingering from a heavy winter and the days are hot, there is a decent chance some water will be in the creek. This is especially true along the central part of the canyon. Higher up it seems as though the water is funneled down through the porous rock and soil into the heart of the canyon. It then emerges from the loose scree filling the gully, races its way over a small waterfall and a pair of slick rock cascades and then once again subsides back beneath the surface. Finding running water through the entire length of the canyon is very rare. This is primarily due to the fact that the entirety of Diller Canyon is filled with volcanic detritus, mostly consisting of the aforementioned rock and ash. Excellent views from the approach. Despite its epic size and grandeur, Diller Canyon sees very little use. Most of the very few people who come to the canyon are backcountry skiers. This is usually done by climbing to the top of Shastina and then skiing down the long, treeless canyon. Indeed, from down below, the canyon looks like the largest and longest half-pipe in the world. If the skiers (few as they may be) are not present, Diller Canyon is essentially abandoned. This is a shame, considering how staggeringly spectacular the canyon is and how easy it is to get to. It is possible to drive on dirt roads fairly close to the chasm. The access roads are in pretty good shape and are easily passable by low-clearance vehicles. From there it is only a short hike on an abandoned dirt road. For the most part, the old road is more like a trail then something meant for vehicular travel. It is often narrow and the brush is encroaching on many stretches. When the road passes through some great red fir forests, it is quite faint, reducing its road-like qualities. 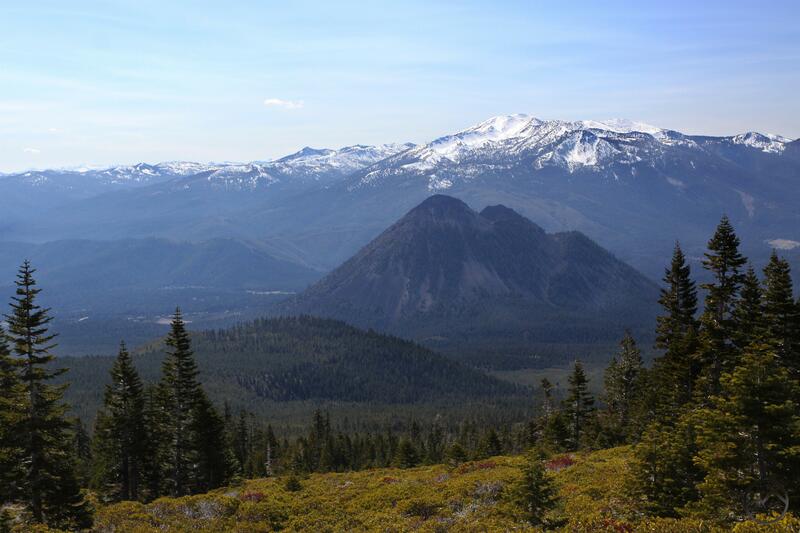 It also boasts some truly spectacular views, particularly of Black Butte, the Trinity Divide and the Trinity Alps. Amazingly, instead of just ending at the canyon rim the road actually cuts into the canyon. Since the road maintains a level route across the steep canyon walls hikers do not even have to descend the steep slopes. The very, very few who make this trek will find the road deposits them at the easy possible crossing of the inner gully. While most of its walls are high, loose and unstable, the old road ends near a large, black rock that protrudes from the gully. When water is flowing the rock sends the water over a scenic cascade. For hikers, the rock makes an extremely convenient place to cross. Incidentally, by following the bottom of the gully upstream from the black rock for about 100 yards, explorers will find a scenic 20 foot waterfall. This is the only significant waterfall in Diller Canyon. Though it is not a large or attractive as its cousins in Mount Shasta’s other canyons (Mud Creek Falls, Ash Creek Falls and Whitney Falls) it is still a very scenic spot that few ever set eyes on. Once across the inner gully, it is an easy scramble up a brushy slope to an incredible vista of the canyon. A seemingly limitless talus field extends upwards toward the summit of Shastina while sheer, rugged cliffs line the canyon, particularly on the north side. The great bulk of Shastina fills the horizon, reminding the lonely few who make it here that this is indeed the third highest volcano in the Cascades. 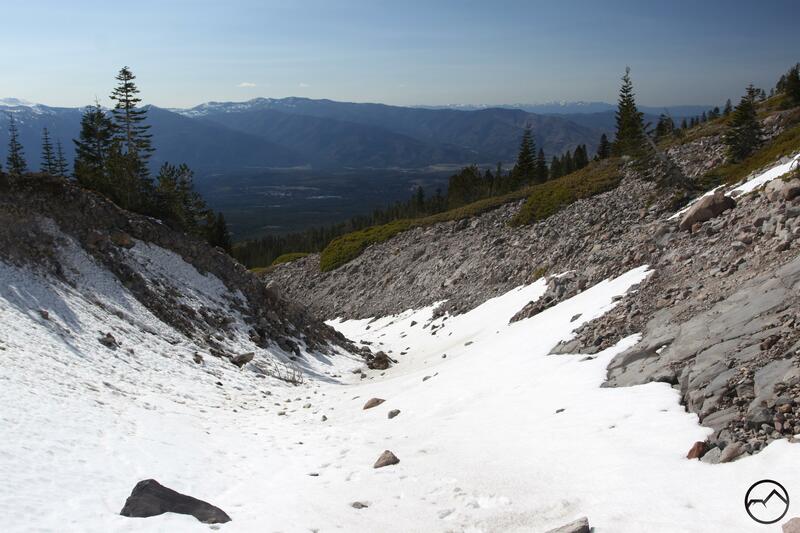 Why this old road was not converted into an official hiking trail when the Mount Shasta Wilderness was established in 1984 is a mystery. Other old roads that fell within the new wilderness boundary were converted into foot paths. Such a trail, leading to the tremendous views of Diller Canyon and the great potential for exploration, would no doubt be a popular destination if hikers knew about it. A Diller Canyon Trail would combine great views during the hike in with a spectacular destination. Still, official recognition, construction and maintenance are unlikely. 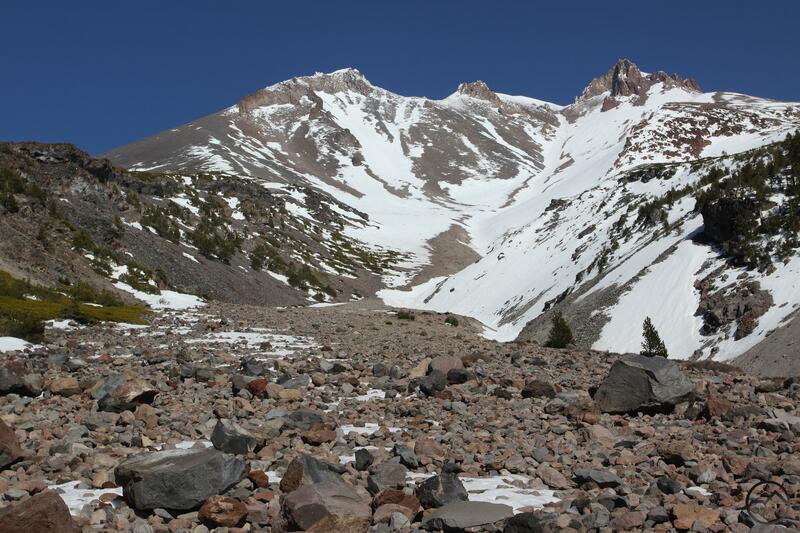 Consequently Diller Canyon will remain an obvious but mysterious feature on Mount Shasta. Still, those who venture into the magnificent canyon will have the rare opportunity to enjoy a place that is seldom seen and to appreciate the unappreciated Shastina on its own strengths. As always, for those interested in learning the route to Diller Canyon, send me an email and I will give directions.